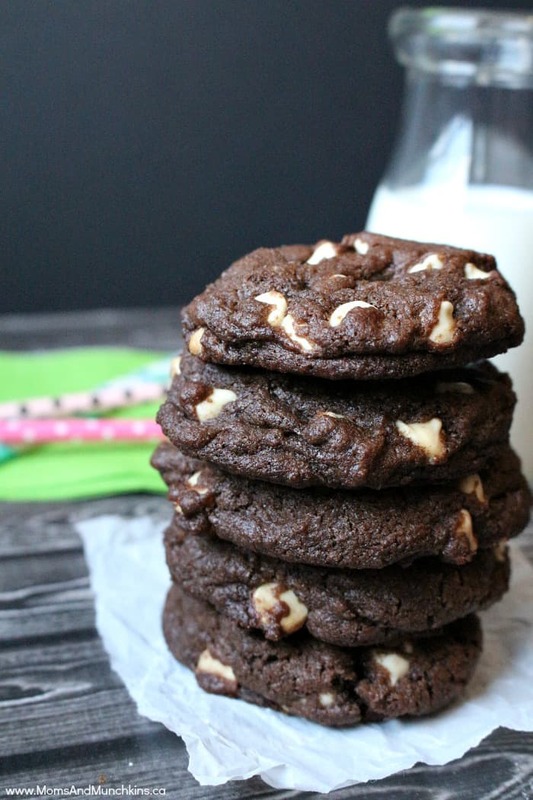 These White Chocolate Chip Cookies have been referred to as the OMG! cookies by some of my friends. They are so delicious that you can’t stop after just one cookie! I just want to warn you now before you make them so you can decide if you need to make two batches – one to share and one to hide in the closet for your own secret cookie stash. Do you ever keep treats hidden from your family? It’s okay, you can tell me. I won’t share your secrets. This original post was written back in 2012 so if you’ve visited before you may think – Hey! Weren’t these Chocolate Peanut Butter Chip Cookies before? Yes, they were…until we discovered a peanut allergy in the family. If you don’t have allergies, you can skip the white chocolate chips in this recipe and add peanut butter chips instead. They are delicious! 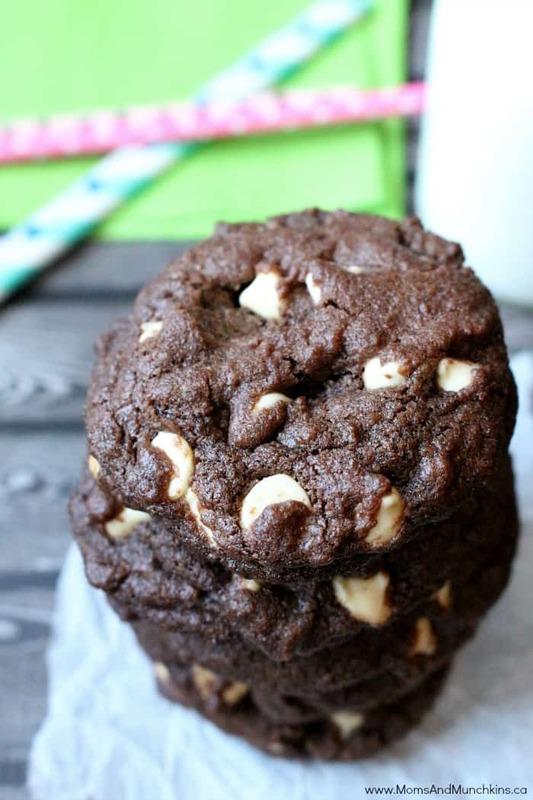 Some of my friends refer to these as the “OMG!” cookies because they are so delicious. This recipe makes 4 dozen cookies. Add eggs and vanilla & beat well. Drop by teaspoon onto ungreased cookie sheet. Bake at 350 F for 8 – 9 minutes. Be careful not to over bake! For more delicious recipes, check out our special Recipes page. As you’ve probably guessed, I love desserts so you’ll find a lot of yummy dessert ideas. I also love parties so many of the recipes featured on that page will be perfect for entertaining and potluck dinners. What is your favorite chocolate combination? Chocolate and peanut butter? Chocolate and fruit? Chocolate and caramel? Chocolate in ice cream? I could go on forever…but I’m starting to drool. Stay updated on the latest by following us on Facebook, Twitter, Pinterest and Instagram. Those cookies are making my mouth water at 6am!!! oh super yum! Pinning so I can make these later! Oh those look and sound absolutely delicious. Chocolate and peanut butter, such a great combo! These cookies are wayyyy to sweet. Take out 1 cup of sugar. I had two cookies and they gave me a headache because they were so sweet. Also for Christmas holiday I recommend using peppermint bark as a sub for the white chocolate chips. These cookies are terrible, they turned out flat on my baking sheet and I had to add 1/2 more cup of flour, even then they didn’t rise nicely. A disappointment for sure! 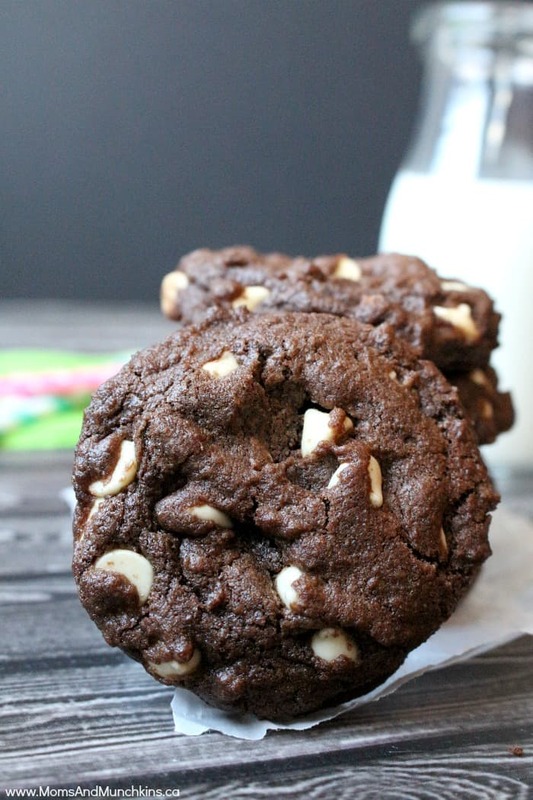 These cookies are totally OMG! They were by far the best cookies I’ve ever had. Definitely on my list for the next cookie exchange.